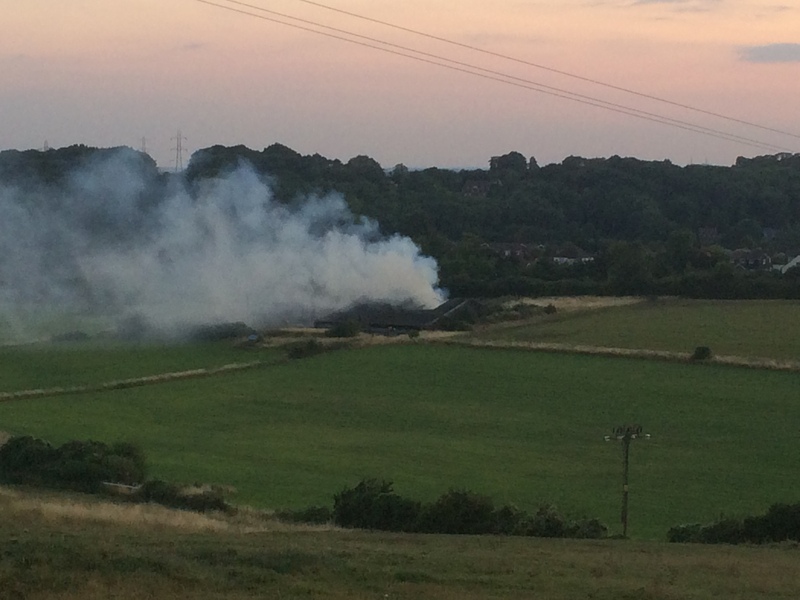 At about 6:30pm on Tuesday 29th July, a large barn in Horndean containing 152 bales of hay caught fire. The Barn is on local Land Owners Kim O’Brien’s farm just to the East of the A3M. 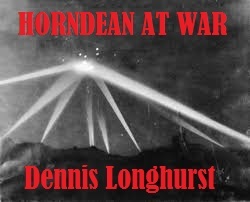 Before long flames and smoke could be seen around much of Horndean and Hampshire Fire & Rescue were arriving in force. The fire was quickly identified as a Significant Incident, and at the peak 6 appliances, 2 water tankers, 1 command vehicle, and 2 special equipment vehicles had arrived on the scene with supporting tenders, making around 15 attending vehicles in total. 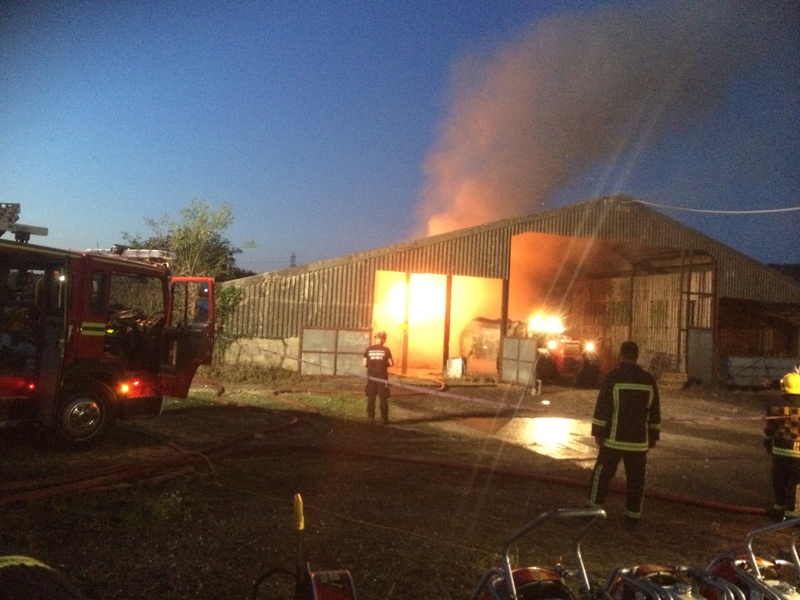 Horndean Fire Station, our own retained fire crew were also on scene and among the first to arrive. Within an hour a Fire Brigade Manitou forklift had arrived from the Hampshire Fire And Rescue Headquarters in Eastleigh with other specialist vehicles being sent from Bordon, Fareham, Havant and Waterlooville. 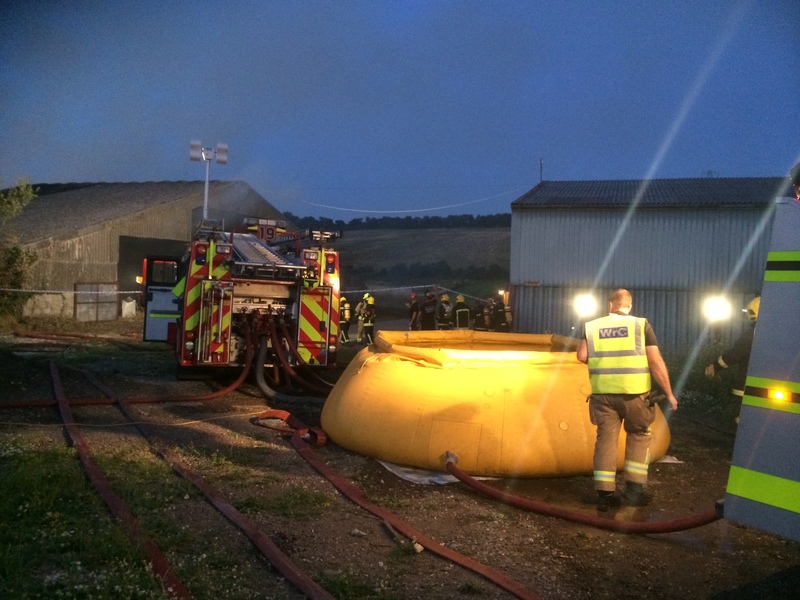 Senior officer Area Manager Jason Avery explained that due to the remote location of the fire, tankers were running water from the hydrants in Horndean to a 12,000 Litre bund at the scene so appliances could draw water off and use it to fight the fire without interruption. Some properties in Horndean reported a temporary loss of water pressure as a result of the operation. Incident Commander Dave Graham (Station Manager) gave a briefing to the crews advising that the Brigade Forklift would start to draw out the hay to expose the fire, and teams would dampen the flames down. 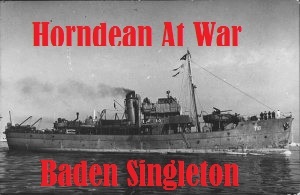 At the time of writing it was anticipated that the fire would take a good few hours to put out, then require a crew to remain potentially for several days to spot and deal with any patches that catch light again. This was resourced the next day by crews from Southsea, Bishops Waltham and other stations across the County. Concerns about contaminated water getting into the water supply were dealt with by bunding the water run off. 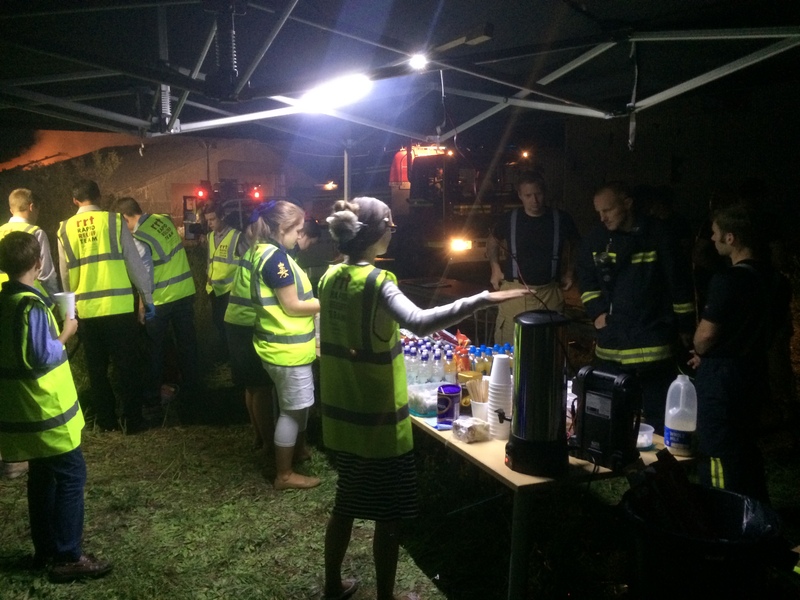 Not only was the fire attended by Horndean’s own retained crew, but the Plymouth Brethren Rapid Relief Team from the Horndean Church attended led by Neil Reynolds. The Christian Group provide a response to any people in poverty, need or distress and rely on private donations and volunteers. Neil explained that the Horndean branch have supported Hampshire Fire And Rescue at about 15 large incidents in the last 12 months, and provide this voluntary service to all types of emergency incident nationally, supporting all emergency services and charities where appropriate. Land Owner Kim O’Brien was relieved that the barn just contained hay and that no one was injured. She expressed sincere thanks to Hampshire Fire And Rescue for their incredibly fast response, and the support the Plymouth Brethren gave to the fire crews while they were on the scene. The Fire and Rescue Service are still carrying out their investigations, and are yet to determine the cause, but evidence of a break in and vandalism at the scene suggests this was deliberate. If you saw anything suspicious in the area then please contact the police on 101. Last night, while a commercial loss for Kim and the tenant farmer whose hay caught fire, I saw a strength of community spirit I had not seen before. 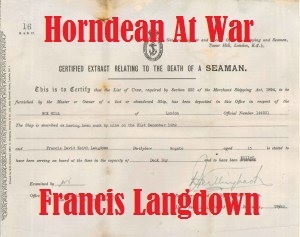 Well done Horndean and thank you Hampshire Fire and Rescue for the thoroughly effective response.